Understanding chord symbols is important in songwriting. 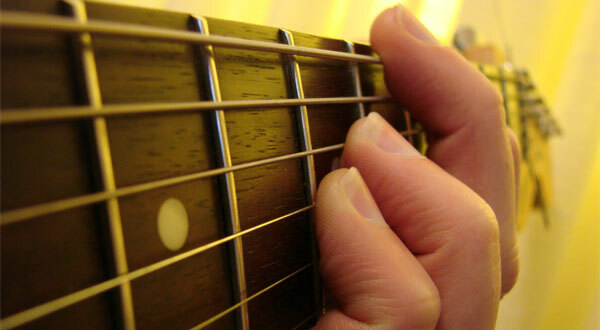 Here we will cover the topic of chord symbols and chord construction. While there are many books out there on the market, there is very little explanation of how chords symbols are interpreted. I’d like to share some of my insight with you. In most song sheets chords are given for guitar or keyboard players. Functional names are not used for this purpose. 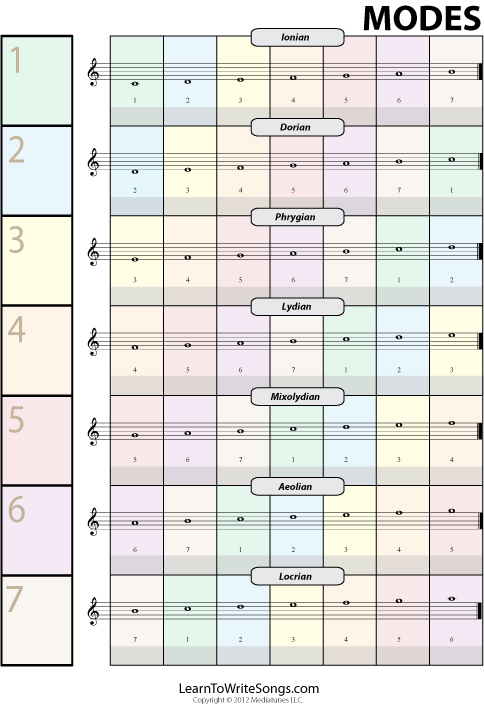 Instead, the root and quality of the chord are given in what may be termed lead-sheet notation (for example, Cmaj and F#min). 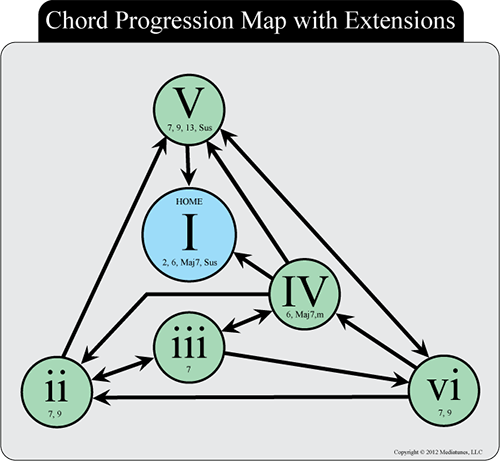 The chord formula for a major chord is 1 – 3 – 5. Where 1 is the the root note of the chord. Indicated with only the root and extension numbers. 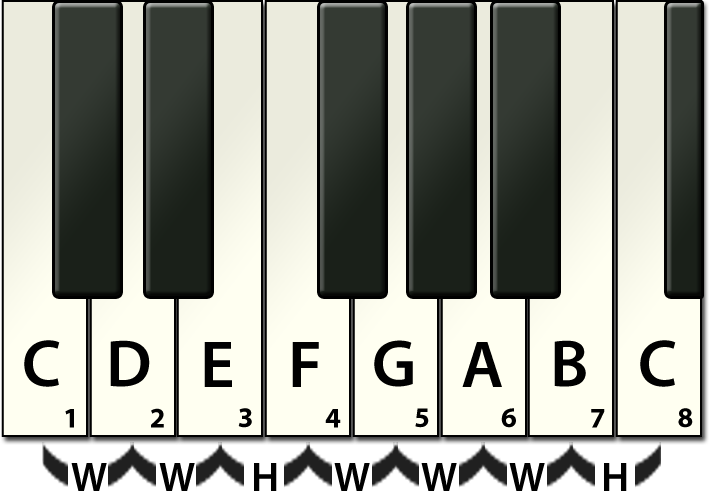 Since some major chords and all dominant 7 chords can be written without chord type designations, the following will help you to distinguish between a major chord and a dominant chord: If the FIRST extension number following the root or letter name of the chord is 7 or greater, and it does not specifically state major or minor then it is a dominant chord. For a wall poster click on link below. Posted in Uncategorized and tagged Chord Progressions, Chord Type, EXCEPTION, GM, HTML, Mini Poster Print, music, ROOT, songwriting. Bookmark the permalink. RSS feed for this post. Leave a trackback. Though it’s always a good idea to condense, the AAA form gives you the most room to stretch lyrically. The caveat here is that it’s not really a good form from a commercial standpoint, due the predictability of the form. 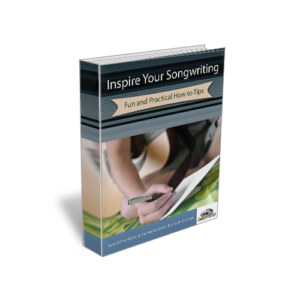 Any up-tempo three or four-section form can give you plenty of lyric space with strong musical interest, particularly if you use pre-choruses for new lyric information each time.